Wall Street Journal reporter Daniel Pearl became the focus of international concern when he was kidnapped by Islamic extremists in Pakistan while investigating a story. News of his brutal murder in February 2002 was universally denounced, a tragic loss of a good man and a compassionate journalist who was at home anywhere in the world. At Home in the World celebrates Pearl's life through 50 of his best stories. Edited by his longtime friend and colleague, Helene Cooper, At Home in the World gives testimony to Mr. Pearl's extraordinary skill as a writer and to his talent for friendship and collaboration. With datelines from the United States and abroad, the articles showcase a dogged reporter who never lost sight of the humanity behind the news. A foreword by his widow, Mariane Pearl, and a contribution by his father, Judea Pearl, celebrate his desire to change the world, his basic decency and fair-mindedness and his sense of fun and love of family. Mr. Pearl's eye for quirky stories -- many of which appeared in the Journal's iconic "middle column" -- and his skill in tracking leads, uncovering wrongdoing and making friends of strangers of all backgrounds and cultures are apparent throughout this carefully assembled collection. The selections range from child beauty pageants in the South to the making of the world's largest Persian rug to the Taliban's exploitation of a gemstone market in order to fund terrorism. Anecdotes from friends and colleagues in the introduction to each section provide background, context and a glimpse of his life at the Journal. 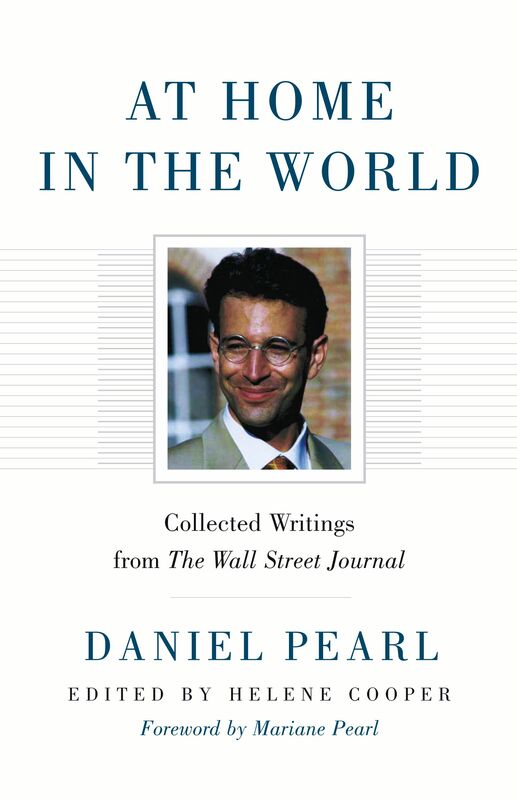 At Home in the World keeps alive Daniel Pearl's spirit through his words and the work that was so important to him.